The video is no longer available, but text from it is below. 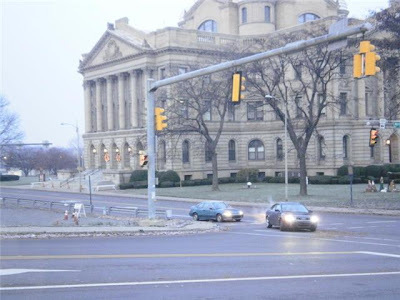 “A nativity scene and menorah are gone after causing controversy at the Luzerne County courthouse. The American Civil Liberties Union threatened to sue if the displays were not removed. 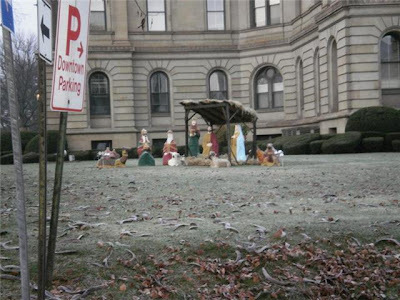 The actual manger was taken off the lawn outside the Luzerne County courthouse Thursday morning. A familiar nativity scene and menorah were removed from the Luzerne County Courthouse lawn Wednesday night because the American Civil Liberties Union threatened to get a restraining order. Letter Sent to the Courthouse! Here is the letter that was sent to the Luzerne County Courthouse requesting for the removal of the religious displays. Click on the images to zoom in!